Pros: The Federal portion is acceptable. Cons: The New York state and city portion was developed insufficiently. It spontaneously changed data not allowing to correct these changes, does not recognized own specification in W-2 form. Pros: Big savings vs Turbo and easy to use. State return included. 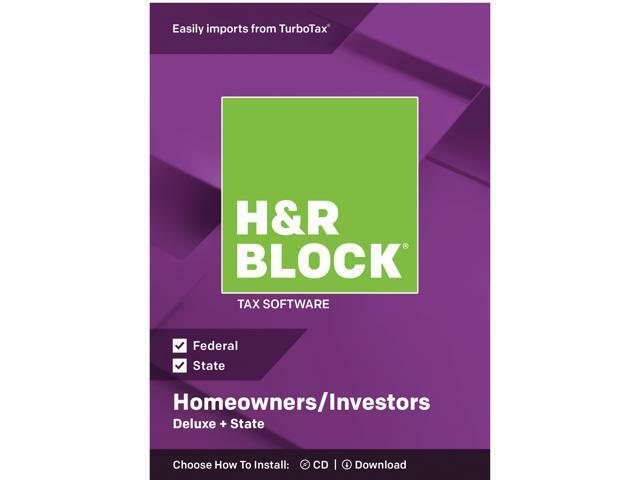 Pros: I was a little nervous to buy HR Block software this time around with a significant number of unhappy users posting online. I thought I got a dud when I couldn't get the software to download from the disc but I used the provided code to download from online. I had no issues after that. Waited for a good price from Newegg and eventually found one. Cons: Didn't work using the physical disc, had to download a copy online. Other Thoughts: Expect to buy again next year.